Practice session - Students learn correct pronunciation and translation of the Polynesian language and correct dance techniques. 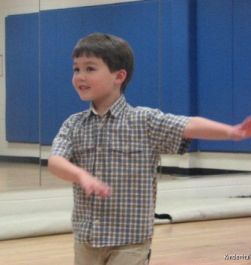 Students are also taught proper dance protocol. They are also given a cultural lesson and handouts at each class from Polynesian-based educational material taught to children in the islands. 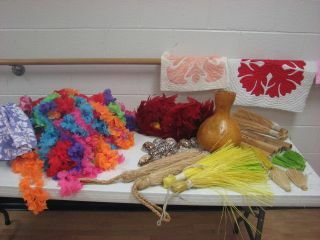 Students also use authentic Polynesian dance implements for some of their dances. Boys are also taught Polynesian dancing. 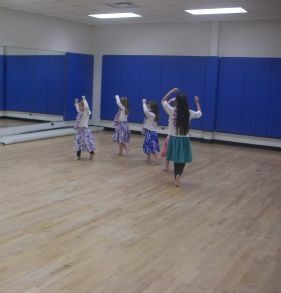 Recital performance - Family and friends are welcome to our Polynesian revue on the last day of classes. An annual recital, or ho'ike, is held for students of my studio classes. Cultural education - Kinderhula provides not only instructional classes, but also an educational and cultural experience for all students. 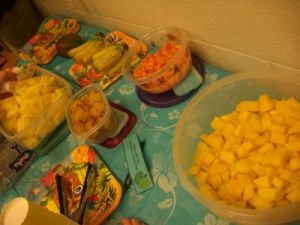 An island fruit and juice buffet was served for the last class. 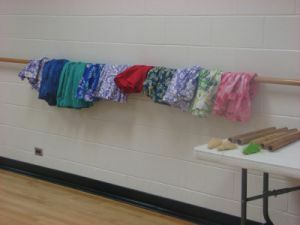 Please be careful when you choose hula and Tahitian classes for your child. They may or may not be taught the correct steps and protocol of our ancient dance forms taught through generations. An authentic Polynesian dance teacher needs to have many years of training and education. Kumu, kumu hula, and ra'atira have intensively studied to obtain their positions and to perpetuate our traditions. It is not something that can be learned purely by video or other online resources or by just taking some classes or workshops. Kinderhula guarantees an authentic hula and cultural experience. 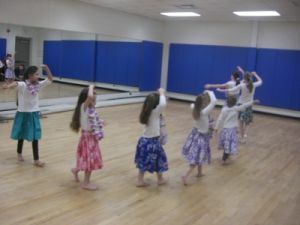 If Kinderhula classes are not convenient for you and your child, please contact me for a referral to find someone who is certified and qualified to teach Polynesian dancing. Your child will also have opportunities to perform. We recently performed at Fort Monroe. 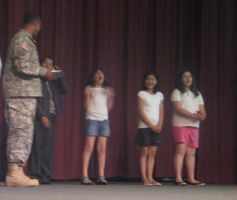 The girls received recognition from Colonel Bobby Lipscomb, Jr.
Hula is fun and educational. Come join us!